Please note that lockers are padlock operated. On arrival we will require a £1 deposit in exchange, alternatively you are more than welcome to purchase your own. Last entry to the gym and pool is 45 minutes before closing time. Juvenate Health & Leisure Club at doubletree by Hilton. 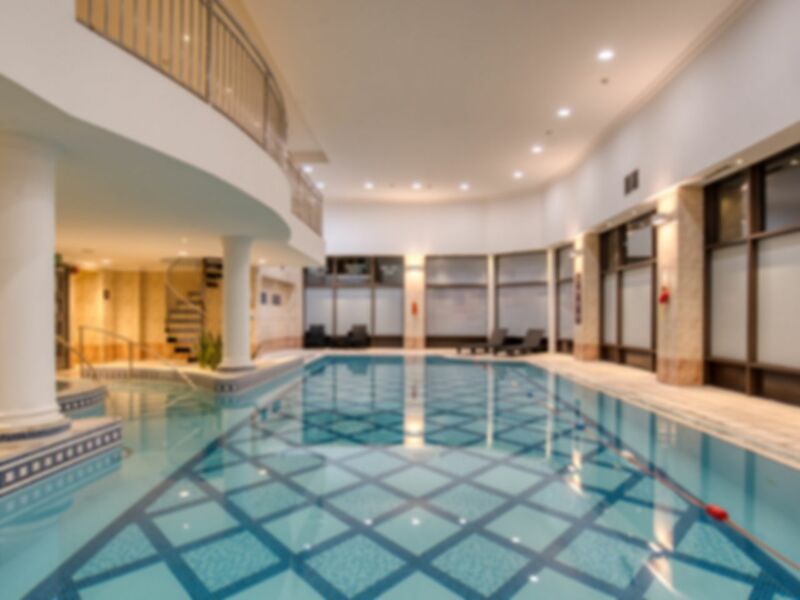 The club has an indoor swimming pool and fully-equipped gymnasium containing the latest cardio and resistance equipment. There is also a free weights area and mats for stretching. After your workout take advantage of the excellent facilities by relaxing in the jacuzzi, sunbed, sauna and steam room. Juvenate Glasgow at Glasgow doubletree by Hilton is located in Glasgow City Centre. It is ideally located for Glasgow Central Train Station and for all the sights and special events that make Glasgow so unique. Very enjoyable visit! Would certainly come again. Very good. Pool area was good. This is a useful little gym in the center of Glasgow. I use it occasionally. The staff are friendly and it is quite luxurious, but the gym is small and there is limited equipment. The pool is better for relaxing than a long swim. Quite quiet for lunchtime,plenty of equipment available,mens changing rm floor needed mopped. Excellent service and decent range of equipment. State of the art treadmills and new and clean dumbbells and strength machines. Would recommend the introduction of a squat rack though, for squats and benching. Pool was also excellent shape and size. I had a great experience at this gym, the equipment was clean and there was a huge variety. Music was playing at right volume and I had a great session. The pool and other facilities really made the whole experience 5 stars. very close to my apartment. expect the first day that the swimming pool is under repairing everything was good. It was wonderful! I really enjoyed the gym and the swimming pool!